Efficient Production of Large Volume Product Catalogs | Akagane Inc. Client A is a manufacturer of industrial components, offering more than 800 products. Due to the large number of products, a revision of its product catalogs is extremely labor-intensive and requires a great deal of time, therefore forcing its personnel to work overtime for an unreasonably long period of time to meet revision deadlines. Streamlined the client’s work process by developing new tech solutions to reduce the number of tasks involved. Through stakeholder interviews and data collection, Akagane acquires good a understanding of a client’s objectives and requirements, and conducts data analysis against the above objectives and requirements. 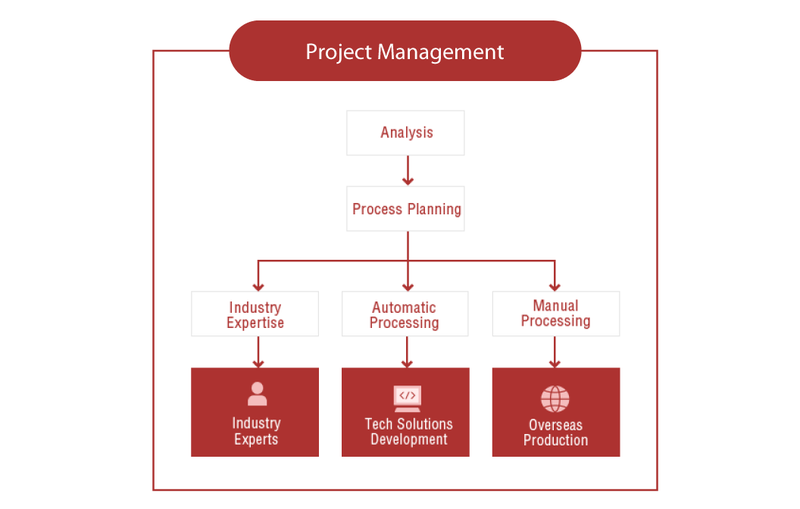 Based on such analysis, our proposals include an optimal workflow which meets the client’s budget and delivery time. A large group of experts in construction machinery, air-conditioning equipment, construction, building materials, and industrial components are available at Akagane to advise a client based on their knowledge and experiences specific to the industry and the market. From extensive experience in working with different clients, Akagane’s System Development Team has accumulated a great deal of knowledge and skills in the product catalog production area. Capitalizing on its expertise, Akagane developed a series of computer systems, software, tools, and other tech solutions to automate clients’ processes. 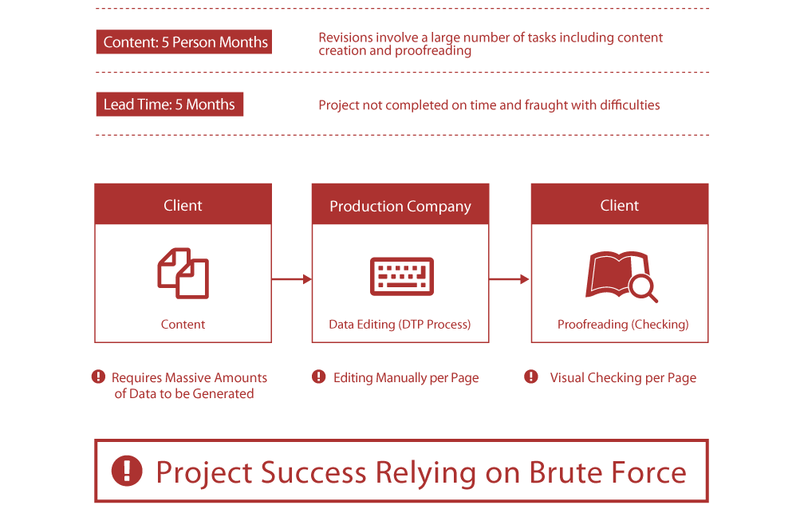 In cases where tasks may not be processed automatically, Akagane’s production bases in China and Thailand perform manual processing of large volume data. The optimal location is selected for each project.